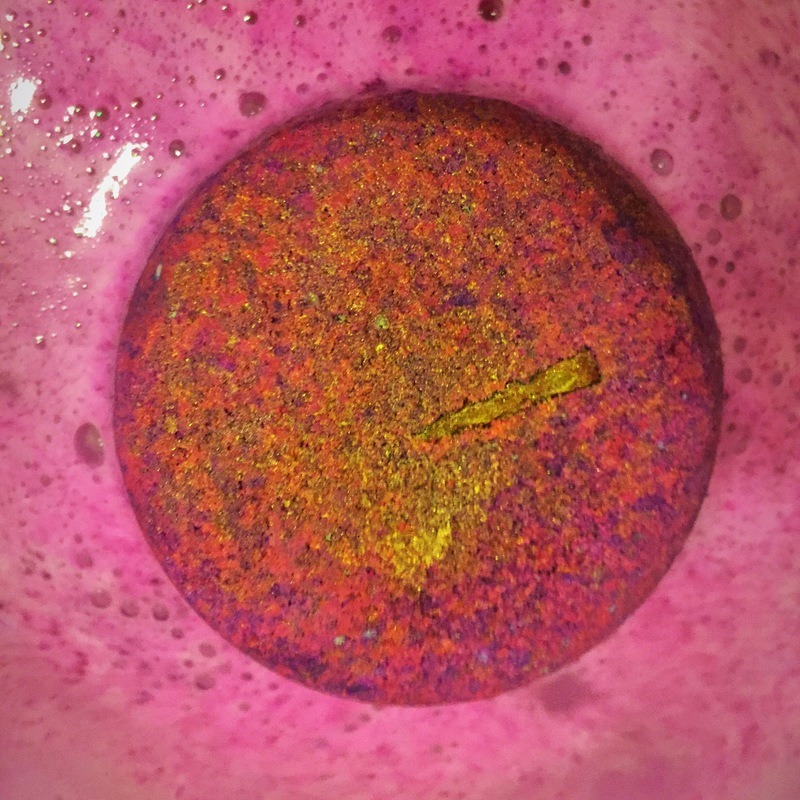 The Phoenix rising bath bomb was originally on sale as part of the general range until it got discontinued in 2015. I’m a little unsure as to why lush discontinued it as it is so different to anything else that they currently sell. You can however still pick this up occasionally on the lush kitchen so make sure you keep an eye out for it there. 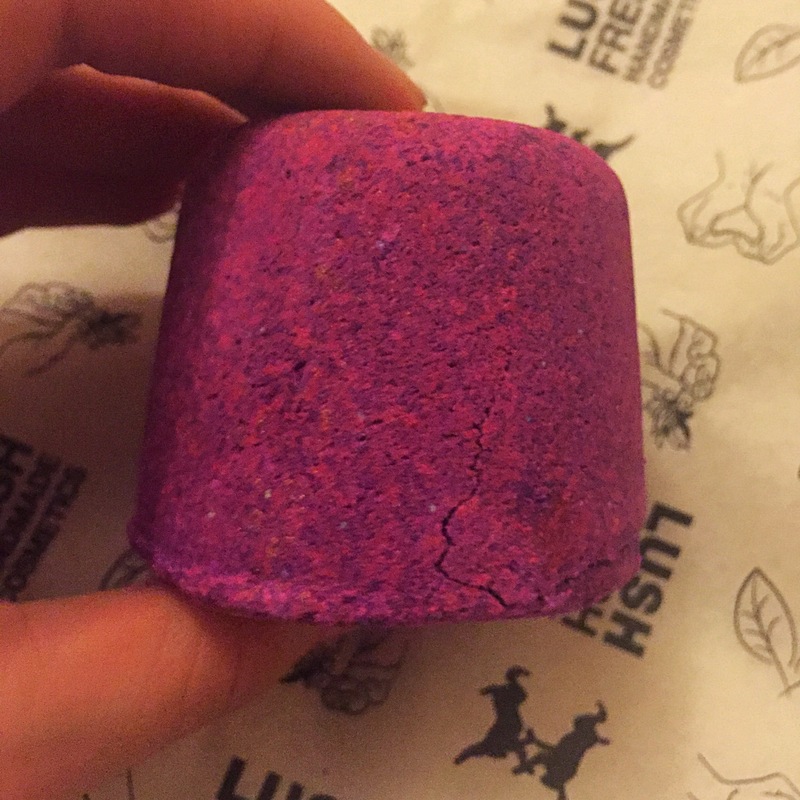 I think this was one of the first ever bath bombs that I tried from lush when I was younger. 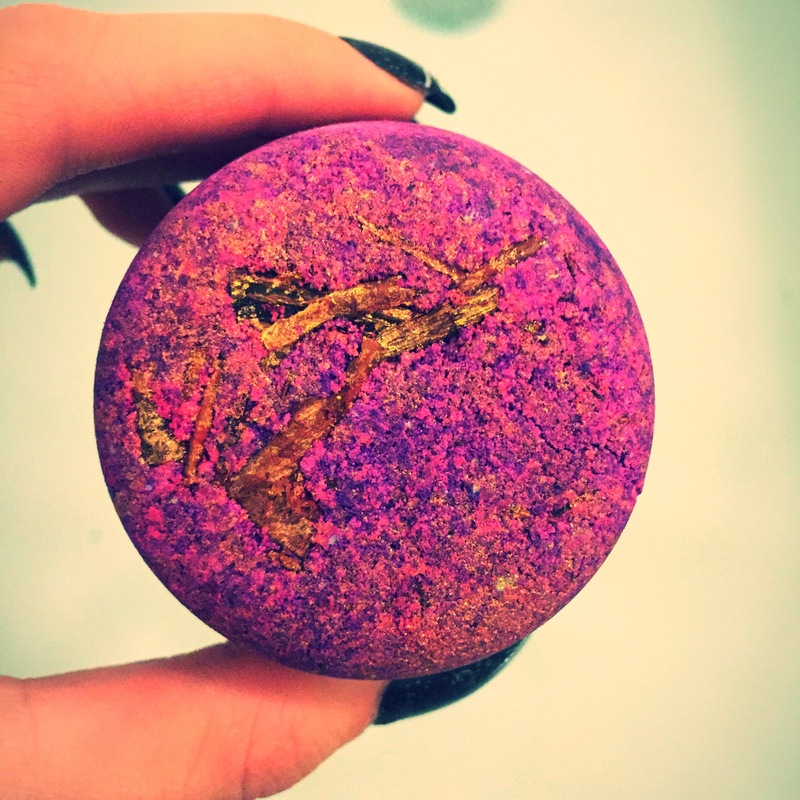 Firstly I was attracted to it because of its exstremly vivid purple colour, it just really stood out from the crowd among the other bath bombs in store. To add an extra touch off elegance to this product it is dusted in a covering of gold lustre and topped with a little twig of cinnamon. Then I noticed its name, being a huge Harry Potter fan (I still am) I just had to get one as, as I was a little obsessed with anything to do with mystical creatures and the Phoenix has always been my favourite. So Phoenix rising was defiantly a spot on name for me. If that wasn’t already enough I was then won over by its scent. Containing bergamot , cassia and Jojoba oils, these combine together to create a very warming, spicey cinnamon scent. Like I said early this scent was so different to anything else lush had on sale at the time. Once in the water the Phoenix rising created a very vivid purple foam across the surface of the water. It also turns the water a lovely deep shade of purple. Once it reaches it core a lovely greeny blue colours entwines with the purple creating magical and mystical swirls in the water. 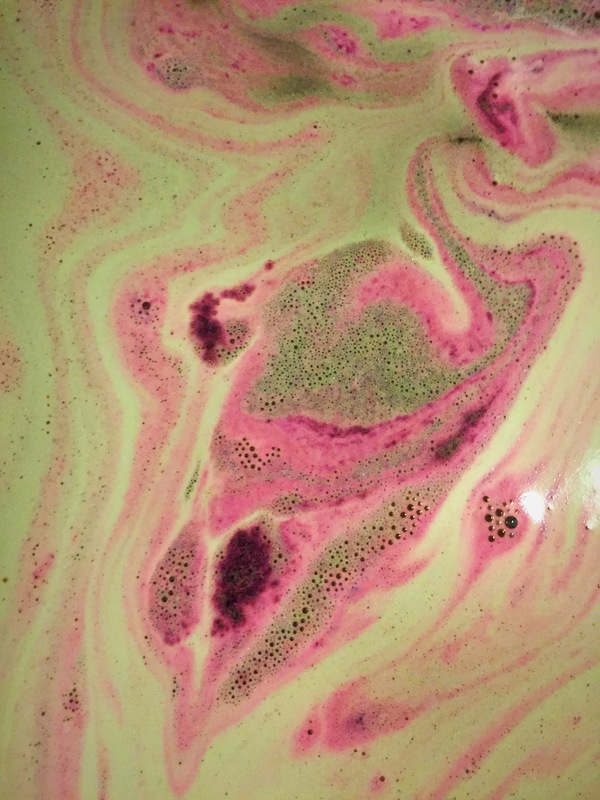 What I really love about this bath bomb is the scent stays very strong throughout, not only can you still smell the scent in the room, it lingers on the skin for ages aswell. This is defiantly one of my favourite bath bombs and I really miss not being able to go and pick some fresh ones up from a lush store. However I am glad that the Phoenix rising still rises from the ashes in the lush kitchen every now and then. Ingredients – Sodium Bicarbonate, Citric Acid, Icing Sugar, Cocoa Butter, PEG-6 Caprylic / Capric Glycerides, Bergamot Oil, Cassia Oil, Organic Jojoba Oil, Fair Trade Shea Butter, *Cinnamal, *Citral, *Limonene, *Linalool, Colour 45410, Colour 42090, Colour 77891, Colour 77510, Frosty Holly Lustre, Gold Lustre, Cinnamon Sticks. I’ve never heard of this but it looks great!